It's easy for HR to get frustrated when benefit shopping. After all, marketing just got an expensive new email system. And IT just bought new computers for the entire department. They probably just got those nice things with little fight or oversight. But when HR wants to add a simple little employee perk? "WHOA HOLD ON THERE LET'S FORM A COMMITTEE TO EXAMINE THESE COSTS!" It's common for HR to feel like they have to battle for every penny while other departments can spend at will. It probably boils down to the perception of employee benefits as a cost center, while other spending ties directly to a profit. We know better. A great benefits package can bring in elite talent to an organization as well as keep current talent from going elsewhere. Benefits can also solve life problems employees encounter, allowing them to focus on work. Recruiting, productivity, and retention are all matters of millions of dollars, if not billions. But still, every penny must be justified. It may not be fair, but it is what it is, and we have to make the most out of it. So how can you get that new benefit past the gatekeepers and financial guardians? It takes some homework and putting on some unfamiliar hats. To get that benefit you want, you're going to have be persuasive. Not in a slick or deceptive manner; just confident and prepared with data. In other words, you'll need to be a good salesperson. The best salespeople know their audience and have confidence that what they offer solves a problem. They know when to be tenacious without being annoying. They're prepared and solution-oriented. You'll need to become a champion for the benefit you want. Know what problems it solves, understand its shortcomings, and how it's going to deliver more than value than the cost. Then, you must persuade the decision makers. Tip: Adjust your message for your audience - CFOs are all about dollars, while CEOs may be about minimizing risk. As we've said before, you should never have a benefits vendor. They should all be partners working with you toward your goals. That includes helping make the case for why your organization's dollars should be spent with them. Rely on these companies to help make the case for you. Work with them to set expectations and realistic goals. Create an onboarding and communications plan with them ahead of time. If they want your money, they'll help make the sale for you. You don't have to march their people directly in front of your CFO, but they should be an ally in making a case. Sure, the benefit you want may appeal to current employees, but what about the ones you're going to need to recruit in years to come? This requires an understanding of where your company is headed. Maybe you're going to need software developers, or you're opening a new office across the country. Also, look at the larger trends. For example, there's a large movement toward paid parental leave. Some companies are helping Millennials pay off their collegiate debt. Are those perks you need to add? And will doing so today help you stand out before they become common next year? Next to talking dollars and cents, this is the worst part. You have to know the legal ramifications in this changing environment. You're not a lawyer but you need to have an idea of what could happen to a benefit if ACA is repealed, or if the FLSA lawsuit is dropped? This is another area in which to consult the benefits vendor. How are they prepared to handle sudden legal changes? Are you allowed to exit a contract if what they offer becomes publicly subsidized, for example? This is the best way to show how a new benefit will work within your culture. What do you already offer that's related to what you want to offer? For example, you have a bereavement policy. Why not a parental leave policy to celebrate the beginning of life in the same way you mourn the ending of it? If your company is active in the community, why not implement an employee discount program that helps employees save money at local restaurants and retailers? It's easier to make the case for a benefit if that case is already made through the success of an existing benefit. The worst case scenario is to find yourself implementing a new perk with no idea how it might impact your culture. You know to push the vendor for costs. You know the amount of the check you'll be cutting to them on a monthly or annual basis. How muc h is it going to cost you to communicate the perk to employees? Or to get them registered? There are lots of small costs to consider that might add up to big, unexpected sums. It's best to be aware of them ahead of time. Is there a financial return, or another clear ROI? One of the benefits of operating an employee discount program is we can point out that the typical amount saved on a transaction is $32. That's a good piece of information to have when you're proposing a hard cost of a small fraction of those savings. Finally, consider the cost to your company if you don't have this particular perk. Will employees churn? Will you be less likely to hire candidates with valuable skills? In that case, there could be thousands, possibly millions, at stake. There are two elements to this. On one hand, you need a clear, no-BS grasp of pricing for the vendor. What are the costs in year one, year two, and beyond? Are there hidden fees or extra costs? If so, they need to be un-hidden, with no uncertainties. Also, get an idea of what similar perks and benefits cost across the US. If demand is about to shoot up for something (say, tuition reimbursement), leverage a better deal today. Also, make sure bids you receive fit your business' size. Some vendors are more than happy to give you the Enterprise Package when you need the SMB one. Once you find a price and package you're satisfied with, see how long you can freeze them in place. In short, be a smart shopper and a tough buyer. When it comes down to it, all anyone wants is a benefit that's going to help employees and add to the experience of being with your company. If a benefit doesn't do that, then why bother? Work with your decision makers to decide what success looks like. Give it a fair period within which to meet that goal, then move forward. 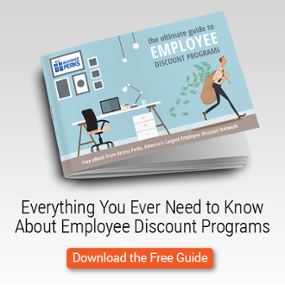 For example, if 70% of employees don't use their discount program in the first year, it'll be gone. If you add a flexible working policy and productivity drops in the first six months, kill it. Make the goals reasonable and give them a fair shot. Some benefits may not perform simply because they haven't been given any promotion, or employees are being subtly discouraged from using it by managers. Don't wait until late in the summer or early fall to begin making your case. Start today. Cast a wide net with lots of vendors and loads of data, then whittle it down to one or two options that you feel good about. Then, turn those vendors into partners and direct your attention to internal decision makers. Yeah, it's going to take some work. And yes, it's awkward to feel like a salesperson. But if you have confidence in the results of adding that benefit, you'll won't feel like you're trying to push something on people. Instead, you'll simply be opening their eyes to something that the company needs. And yes, getting the budget will always be a battle. But you'll be prepared for it this time around.